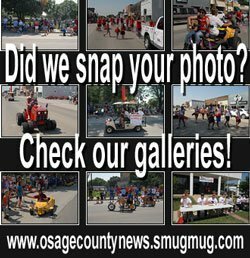 The following information was compiled from records at the Osage County Courthouse April 25 through April 29, 2016. Shirley L. Homewood to Wayne L. Medlen and Mary E. Medlen. 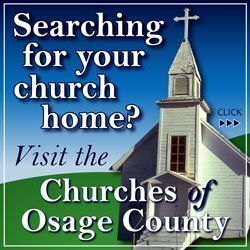 Even Lots 2-6, Block 28, Osage City. Secretary of HUD to David A. Moore. Odd Lots 19-25 and E 5’ N 95’ Lot 27, Block 2, Brown’s Addition, Carbondale. William J. Miles and Alice J. Miles to Alan L. Reynolds and Elaine M. Reynolds. Tract SE ¼ 16-18-15. Chad A. Wilkins and Dawn R. Wilkins to Derek A. Patterson and Tamara E. Patterson. Tract NW fr ¼ 30-16-14. Russell D. Chmidling, Michelle M. Martin, Cindy R. Hoadley and Brenda D. Lake to Larry Kern and June Kern. Lot 6, exc S 180’, Block 12, Osage Carbon Company’s 2nd Addition, Osage City. Quincy M. Miller and Margaret S. Miller to Patrick D. Hafenstein and Sandra L. Hafenstein. 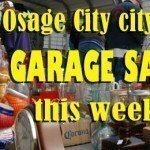 Odd Lots 9-13, Block 26, Original Osage City. Darrell D. Liles and Linda M. Liles to Christopher T. McCain. Tract NE ¼ 20-15-17. Ronnie D. Moore and Tracie A. Moore to Debra L. Arnold. Tract SW ¼ 14-15-16. Debra L. Arnold to Brandon Leigh Larsen. Tract SW ¼ 25-15-15.